California Girl and I attended a tasting of wines from Rias Baixas at the Wine Bloggers Conference in Santa Rosa. 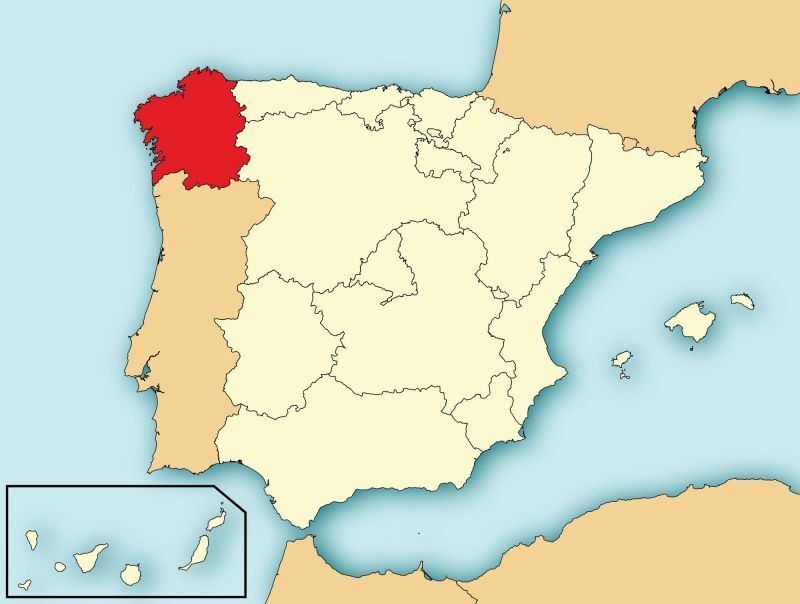 Rias Baixas is a Spanish Denomination of Origin in the Galicia region on the Atlantic coast to the North of Portugal. The region is focused on producing white wine, with just 1% of the region’s production being red wine. 90% of the plantings are of a single variety, Albariño; all of the wines we tasted contained the grape and most used just that variety. Before our tasting, Lyn Farmer, our host, talked about the region, the climate, and the wines. I found one part of that presentation particularly intriguing; the way in which the vines are trained. The vines are grown on canopies supported by granite pillars that are about seven feet high. This helps give the grapes exposure to sun and allows air to circulate through the clusters; critical given the wet maritime climate. 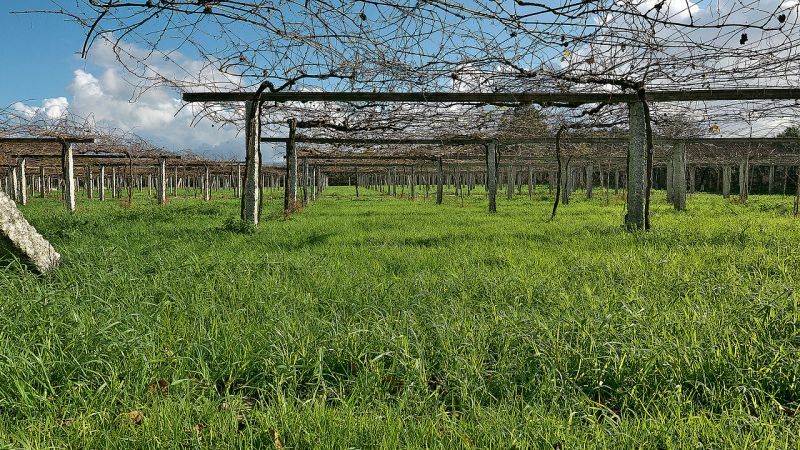 Grapes are picked from underneath, presumably with the farmers standing on something, given the height of these trellises, which are known as parras. Lyn said that in blind tasting, Albariño is oft mistaken for Pinot Grigio; this surprised me as that variety has lower acidity and lacks the strong flavours that make Albariño such a delight. He expressed his surprise rather more directly, describing Pinot Grigio as just Italian mineral water. California Girl comments: I too found that a bizarre thing that these wines would be compared with Pinot Grigio. There is a completely different texture to them that sets them apart from their Italian counterparts. There is also a salinity or saltiness that is unlike any Pinot Grigio you might have tasted. The first wine was the Martín Códax 2016 Albariño. Fermented in stainless steel, with 15% undergoing malolactic fermentation. It retails for $16. The nose was austere, with notes of granite and melon. Medium plus acidity with a hint of cream and cedar behind the main flavours of green apple. Next up was the 2016 Valmiñor, another 100% Albariño, which sells for $14. The aromas of this wine were markedly different from the first one: white peach and honeysuckle. The flavours did not match this richer tone; green apple in a light, crisp and easy to drink sip. 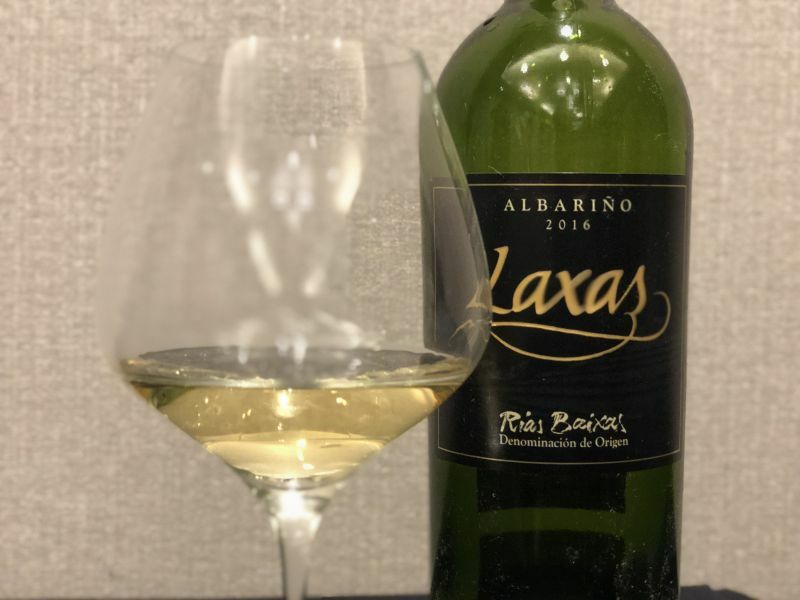 The third wine from Rias Baixas was my favourite; the 2016 Laxas. This wine hails from the southern part of the region; milder temperatures help the grapes ripen giving this wine a lower acidity than the previous tastes. The nose was rich and reminiscent of honeysuckle. The mouthfeel was silky with a mouth coating oiliness. The now familiar green apple flavours were joined by almond and lime. California Girl comments: This was my favorite wine of the lineup. It was so lush and smooth as silk with a lovely oily texture. What oily means when speaking about white wine is that it has a less acidic mouthfeel and is smooth and supple over the tongue. This usually happens with wines that have gone through a process of Malolactic Fermentation. That process pulls out the malic acids and replaces it with new lactic acids which softens some of that harsh acidity in the glass. Up next was the 2016 Condes de Albarei ($15) which is 100% Albariño and fermented for ten days with wild yeasts. The nose was richly floral with highlights of rose petals. Taking a sip, I met medium plus acidity with flavours of peach and lemon. This wine was slightly less dry than the previous wines. At 13.5% ABV this was the highest in alcohol of all of the wines, sharing first place with the ninth. California Girl comments: Of all the wines we tasted this was my least favorite of the day. I found the flavor to be overly bitter and had a smell of canned fish. I gave this wine a pass. The fifth wine, Santiago Ruiz ($20), was a blend; 69% Albariño, 13% Loureiro, 9% Treixadura, 5% Godello, and 4% Caiño Blanco. The nose provided white peach with a herbal backdrop. Taking a sip, I found flavours of white peach and pebbles on a windswept beach. Wine number six was the 2016 Fillaboa, a return to 100% Albariño. The nose was full of peach aromas. The wine was crisp and laden with flavours of green apple. 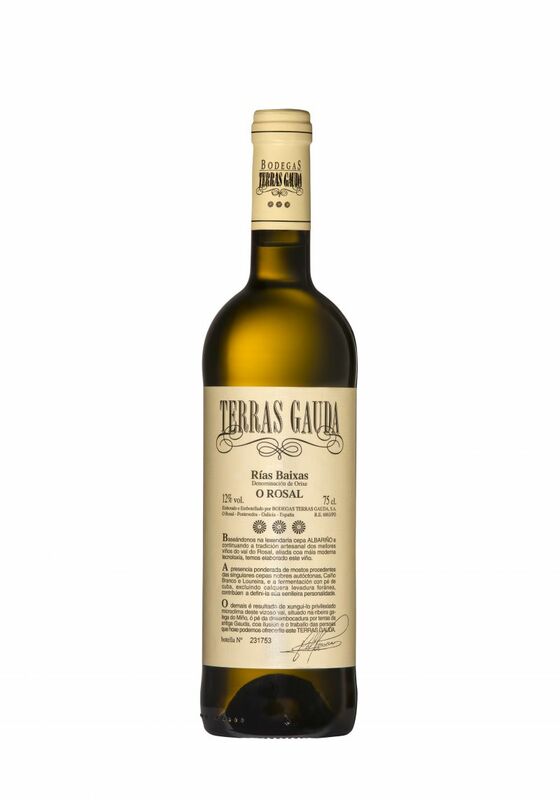 The seventh wine, the 2016 Terras Gauda o Rosal, was another blend; 70% Albariño, 18% Caiño Blanco, and 12% Loureiro. The bouquet was intensely floral. The mouthfeel was creamy with orange as well as the ubiquitous green apple. The next taste was of the 2015 Segrel Ambar, 100% Albariño selling at $19.99. The nose was low intensity of honeysuckle. The flavour matched that uninspiring aroma and was bland; this provided some possibility that you could mistake it for Pinot Grigio. The penultimate wine was the 2016 Pazo de Señorans. The nose was of honey. Tasting the wine in addition to those green apples, I found mint, lemon, and a soft creamy texture. California Girl comments: I too enjoyed this wine. It had such an interesting combination of flavors it drew me into my glass and I wanted to explore it more. I could imagine sitting and enjoying it with some lovely Spanish cheese and Iberian Ham. Delicious. The last wine, the 2016 Lagar Da Condesa was notable for having some exposure to French oak barrels. The nose was strikingly rich in honey and mint. Given that we had gone through nine wines, the fact that this nose came across so strong was worthy of note. This was a crisp, fresh wine with lemon and, as you may be to guess, green apple. 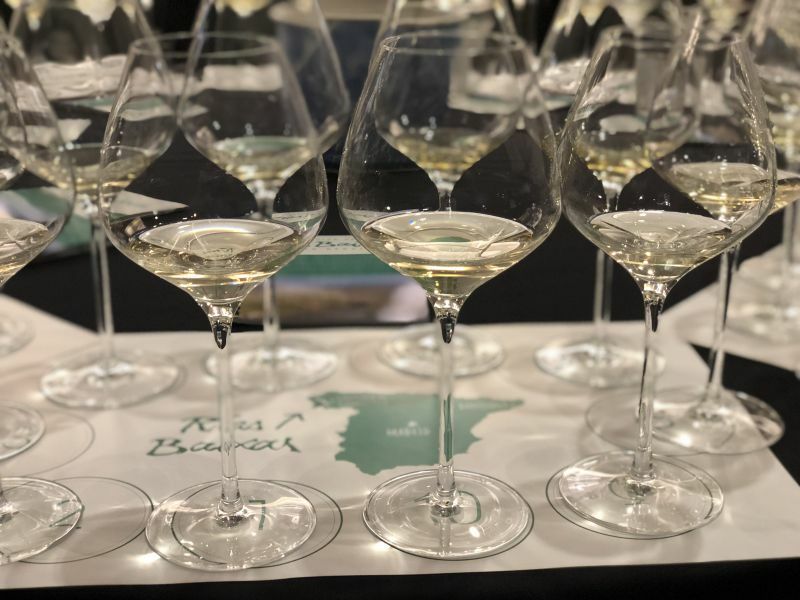 Tasting through all of these wines, the most expensive of which was $20, revealed that wine from Rias Baixas offers affordable white wine that should pair well with shell-fish or be enjoyed as an aperitif. California Girl Comments: I have to admit to having not been a particular fan of Spanish white wines in the past, but tasting through these I have gained a new appreciation for the grape and the region. Some truly lovely sips in the lineup! I was so impressed with the tasting. Shows the diversity within the grape variety. I always love reading your articles on the wines, both informative and interesting! Love how much you know about wine and love seeing all of the wineries you taste wines from! Definitely makes me want to go out and buy a few new ones to try! Thank you for your comment Stef. We love wine and love to share it with everyone else. Not everyone is as lucky to live in the middle of wine country as we are. Keep coming back and reading. We’d love to hear your thoughts.